Content creators can agree that video posts are an ever-growing trend on social media. In mid-2016 it was reported that 78% of Internet users watched online videos weekly, 55% watched them daily, and 92% of mobile video consumers share videos with others. As more and more of our social newsfeeds fill up with video content, we’ve optimized GAIN to support a variety of video formats with video customization options that your followers will love. Using GAIN, you can create, customize, edit, approve, and schedule unlimited video posts on Facebook, Twitter, and Instagram. Here’s a quick walkthrough of all the video features that GAIN offers for each channel. Video posts average 62% more engagement on Facebook. Not to mention, Facebook video posts can also be pulled up through a Google search. To create Facebook video posts, you can upload videos to GAIN with file size maximum of 1GB, and a maximum length of 20 minutes. You can upload video files as either an .MP4 or .MOV file. GAIN will instantly provide a full screen preview of your video within the edit menu. Beneath your uploaded video, GAIN automatically provides a group of stills for you to choose from and set as the thumbnail image. You can also upload a custom thumbnail image to your video. The thumbnail image will be viewable to your Facebook audience before they press play, so even if the video doesn’t play automatically, strategically selecting a catchy thumbnail image can attract more viewers. Facebook Tip For Maximum Reach: If your video thumbnail image has text, Facebook recommends keeping text to 90 characters maximum. The text shouldn’t cover more than 20% of the thumbnail image area. Rather than just explaining what your video is about in the title, sharing a critical moment or quote from the video can help attract more viewers. 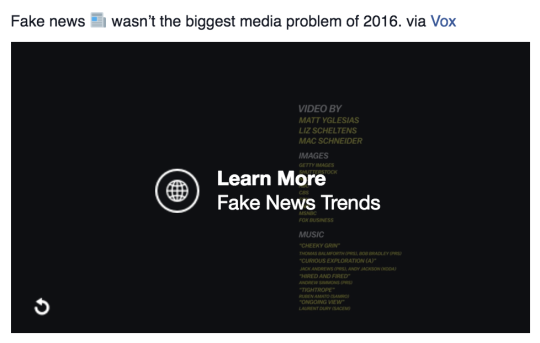 Keep your video titles short and sweet, so they can be read fast when audiences are scrolling through their newsfeeds. Adding a CTA button to your videos is simple with GAIN’s built-in drop-down menu. For promotional videos, the appropriate CTA button can drastically increase conversions. KISSmetrics found that CTAs within their videos received 380% more clicks than their regular sidebar CTAs. 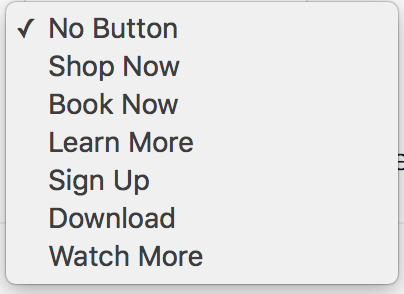 TIP: A study by Noah Kagan revealed that the button “Learn More” offers the best conversions out of any of the other CTA button types. Simply add the appropriate URL into the URL field, and your call-to-action will send viewers to that web page. You can also add a call-to-action headline and description to expand on what you want viewers to do when they finish watching your video. Finally, GAIN offers the option to allow embeds of your video posts to 3rd party sites. Including this will make your video content easier to share, but be sure to watermark it accordingly. With GAIN, your video posts can target a specific audience using the targeting and audience-limiting fields. This feature facilitates brands to schedule video posts that cater to specific groups with ease. 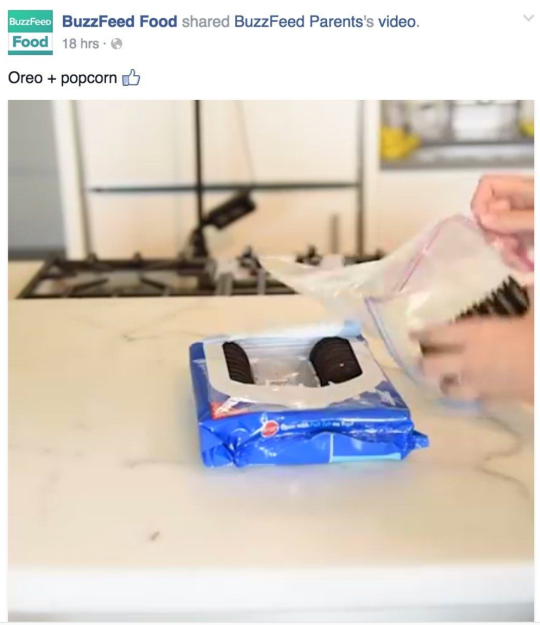 Video posts can help brands build their stories. GAIN also allows you to upload videos to Twitter and Instagram channels with ease. Simply create a new post, upload your desired video file, and you’re ready to go. These social media platforms benefit from shorter length videos and condensed messaging. Twitter and Instagram are perfect platforms for sharing teaser clips or behind-the-scenes footage of your brand happenings and events. GAIN’s supported video files for Twitter include .MP4 and .MOV. Videos can be a maximum of 15 MB in file size, and 30 seconds in runtime. GAIN supports .MP4 and .MOV files on Instagram as well. Videos can be between 3 and 60 seconds in length, and with a maximum of 600 MB file size. TIP: To share .GIF content on Instagram, you can download the GIF and convert it to either an .MP4 or .MOV file using free conversion sites. If you’re ready to top up your social content with video, start a free trial of GAIN. Taking GAIN for a test run will confirm exactly how the platform aids your team in the creation and customization of social video posts for better social content that audiences will love. By 2017, video content will represent 74% of all Internet traffic, proving that you’ll need to adapt to video, if you haven’t already, and use it prolifically in 2017.